The AHL celebrated its annual All-Star Game in the early part of Week 20, and action picked back up on Friday, with several teams playing three games in three nights. Two Eastern Conference foes switched spots in a big way this week, as one broke the top five and another fell out of the top part of the standings for the first time this year. Overall, five teams either kept their spot or went up or down one spot. 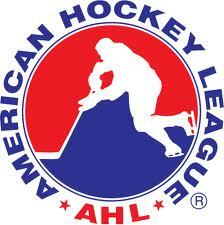 Here is a look at the rankings from an abbreviated week of AHL play. The Monarchs are on a four-game winning streak, and they came up big on Friday against Worcester. Tyler Toffoli had his second hat trick of the season to help him earn AHL Player of the Week honors, and Linden Vey had four assists. Vey ranks third on the team with 35 points on the season, while Toffoli’s 15 goals are second. Hershey had a big week that included a home-and-home sweep with the Wilkes-Barre/Scranton Penguins to move into the top five in the East for the first time all season. Team captain Dane Byers has eight points in as many February games and is tied for eighth on the Bears with 21 on the season. The Bears are getting hot at the right time after looking lost for much of the first half of 2013-14. After a tough outing in Week 19, the Sens return to the top half of the rankings and still lead the East Division with 66 points. Mike Hoffman continued his hot streak with five points in two blowout wins, 6-2 over Wilkes-Barre/Scranton on Friday and 8-0 against Worcester on Saturday. He is averaging 1.3 points per game this year and has 63 in 48 contests. Chicago went to the shootout twice this week and picked up one win and one loss in the extra time. Friday’s win against the Rockford IceHogs featured an eight-round shootout, eventually won by Alexandre Bolduc. Goalie Jake Allen, meanwhile, has won his last five starts. 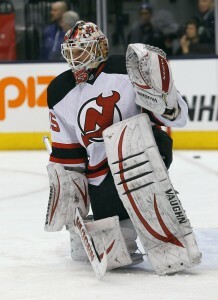 His record has improved to 22-11-2 with a 2.19 GAA and .921 save percentage. #chicagowolves goalie Jake Allen gets his league-leading 22nd win of the season! The Bruins won both of their games this week to increase their winning streak to four games, and they have scored three goals in all of those games. Alexander Khokhlachev is on a six-game point streak with eight points in that time, and he is tied for second on Providence with 34 overall. Although the Heat went 1-1 this week, they remain at the top of the Western Conference by four points. 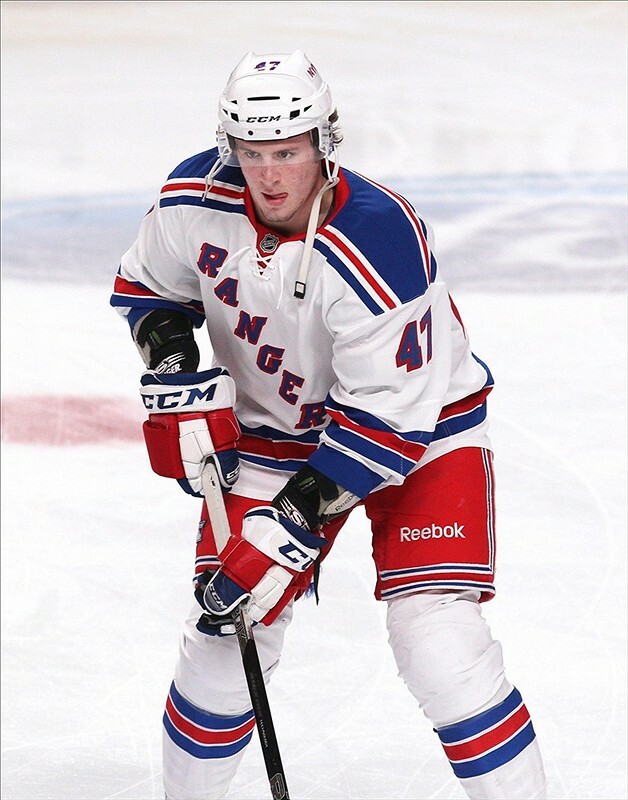 Blair Jones had four points (2+2) and has 28 points in 24 games. Abbotsford scores more goals per game (3.2) than it gives up (2.7), and that kind of success will get it far as it tries to widen a four-point gap with the Grand Rapids Griffins. Much of the focus has been on two of Texas’ best forwards in Colton Sceviour and Travis Morin, but Chris Mueller stepped into the spotlight this week with his second three-point game of the month against the Hamilton Bulldogs. He is second on the team with 22 goals and third with 48 points. However, the Stars are still in fourth in the West with a 2-3 record in their last five games. The IceHogs remain at No. 8 after a 2-0-1 week gave them an 8-2 record in their last 10 games. 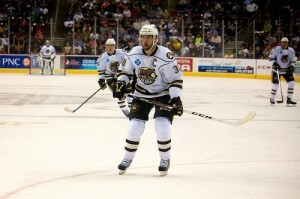 Jeremy Morin put up six points this weekend and is currently on a seven-game point streak. His 17 goals and 37 points pace a Rockford team that is currently averaging 3.1 goals per game. Springfield finds itself just inside the top 10 after a tough week with losses to Hartford and Bridgeport. However, the Falcons salvaged things with a 4-1 win over Worcester on Sunday. Michael Chaput scored a hat trick to bring his total to 15 on the season, which leads the East’s second-best team. They are six points behind the first-place Monarchs and three points ahead of the Senators, but are leading the Northeast Division. While the Admirals’ week didn’t look that hard on the surface, as they took two games from a struggling Syracuse team, both were close contests. John Gibson started on both Friday and Saturday and picked up 45 saves on a combined 46 shots. He is currently first in the league with five shutouts, and his play has Norfolk in sixth place, right in the tick of the Eastern Conference race. The Americans currently have a four-point lead on the last playoff spot in the West and got a big week from Johan Larson, who tallied five points in three games. His best performance came with three assists against Utica on Friday. Rochester has three wins in its last five games, but is by no means secure in its standing. Grand Rapids is outside of the top 10 for a second straight week after going 0-1-1 on the week and 3-7 in its last 10. 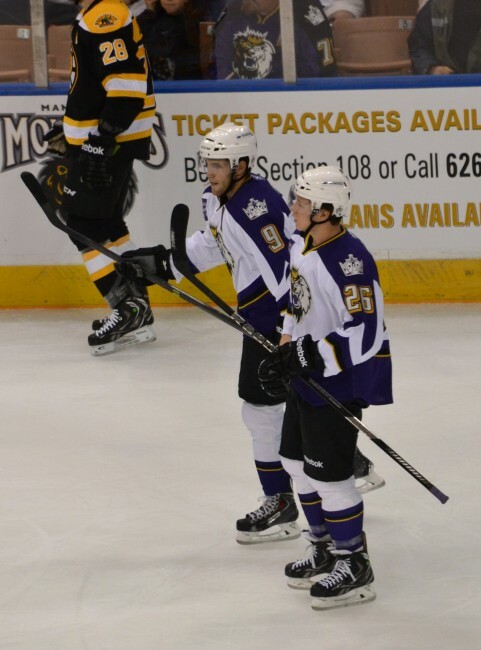 The Griffins were also held to one goal in two games by bottom-feeders San Antonio. Despite their recent struggles, they are still leading the Midwest Division, but a win by the Wolves can put them behind at any time. The Devils have 60 points, but sit outside the playoff picture due to having 26 wins to 28 for the IceCaps, who are in eighth in the East with the same amount of points. Albany has three losses in four games and will hope that top scorer Joe Whitney and goalie Keith Kinkaid (18-8-2 with 2.30 GAA and .914 save percentage) will help them get some breathing room in the postseason race. The Barons retain the No. 14 spot after improving to .500 and moving to 12th in the West. Despite the end of their six-game winning streak coming on Saturday against Lake Erie, Brad Hunt still picked up four points. That moved into a tie for third on the team with 29 on the season. A tough three-game road swing against two potential playoff teams is next on the Barons’ slate. Toronto lost its only AHL game of the week to Utica, but still leads the North Division with 62 points, six ahead of second-place Rochester. Brandon Kozun, who started the season in Manchester, has 10 points in as many games since being acquired by the Maple Leafs. The Sound Tigers have three wins in a row part thanks to Anders Lee, who is first on the team with 19 goals this season. Despite the recent success, they still sit 11 points out of a playoff spot and would have to stay hot through the rest of the month to make up serious ground. Their chances of a postseason berth have not improved much. Although Iowa went 1-2 this week, it got a solid performance from Erik Haula, who had five points in two games. Haula also had a six-game point streak going that ended on Saturday and is currently first with 12 goals and third with 24 points. The Wild, meanwhile, can still catch up in the West playoff race, as they are 11th with 51 points and five points back in the conference standings. The @IAWild are now 5 pts. back of 8th in the Western Conference, and 8 pts. out of 7th with 29 games left. After a 2-1 performance this week, the Comets are .500 in their last 10 games even after playing without several of their key players. Alex Biega filled the shoes of some of the absent stars with points in four of his last five games as the Comets inched slightly out of the Western Conference basement. Milwaukee’s only win in its last five games came in overtime against Chicago on Saturday. The Admirals were not helped by a power play that went 1-of-13 this week and is currently ranked 16th in the AHL at 17 percent. If they cannot get momentum going, they could be knocked out of the playoff race at any time by one of four West teams that also has at least 50 points in the standings (Rochester, San Antonio, Iowa, Oklahoma City). The Rampage held the defending Calder Cup champions Grand Rapids to just one goal in two games this week. Jacob Markstrom made 28 saves in Saturday’s 3-0 victory and improved to 11-10-3 with a 2.66 GAA and .916 save percentage. San Antonio had won four games in a row heading into a President’s Day matinee with Hamilton. That's it, #SARampage fans! Five straight wins, and now owners of the longest point streak of this #AHL season with points in 11 straight. The Pirates won both of their games in Week 20 and closed things out with a bang on Sunday, as they combined with the Adirondack Phantoms to rack up 329 penalty minutes in a massive line brawl. Goalie Louis Domingue was credited with a 28-save shutout before being tossed from the game following a fight with Phantoms netminder Cal Heeter. Despite a 6-4 record in their last 10 games, the IceCaps have lost three games in a row and are clinging to the eighth seed in the East. Their special teams units are both in the top 10, with the penalty kill ranking eighth at 84.5 percent and the power play in ninth with a 19.5 percent success rate. Jerome Samson and team captain Jason Jaffray each have seven-power play goals on the year, while John Albert has three shorthanded tallies. The Wolf Pack are back in last place in the East, but they got a big 5-1 win over the Falcons on Friday in which J.T. Miller scored four points. He currently has 26 points in 24 games. However, losses to other Eastern Conference powers in Manchester and Providence closed out the week. Hartford is scoring just 2.6 goals per game while giving up 3.2. The Penguins dropped three games against big East Division rivals in Binghamton and Hershey and have slipped to seventh in the Eastern Conference. This is the first time WBS has lost more than three games in a row since November. Despite the bad week, Brian Gibbons scored in both matchups with the Bears. Like WBS, Worcester also lost all three of its games this week, the worst being an 8-0 thumping at the hands of the Senators on a Saturday. The Sharks scored just two goals on the week and are now 10 points out of the playoff race after things appeared to be looking up. They also have one of the lowest scoring averages per game at 2.4 goals. 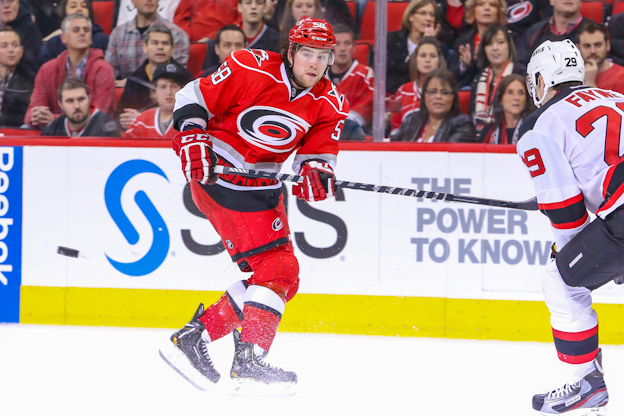 Chris Terry had three points on Sunday to lead the Checkers to a 5-4 overtime win against the Heat and break a five-game losing streak. But at 13th in the West with 48 points, time may be running out on Charlotte’s playoff hopes. The team is 4-6 in its last 10, and the upcoming schedule isn’t getting any easier. The Monsters ended their three-game losing skid on Saturday with a 5-4 shootout win against the Barons. Sami Aittokallio made 38 saves on 42 shots, but is just 10-11-3 with a 2.77 GAA and .906 save percentage. Lake Erie now plays its next four games at home and can get a points streak going against an Iowa team on the playoff bubble and the Stars, who have cooled off in recent weeks. Adirondack are now losers of six in a row and have fallen back to 13th in the East. Aside from Sunday’s brawl-filled game with Portland, the Phantoms also took a 4-1 defeat against Albany on Saturday. Leading scorer Jason Akeson (47 points) is counting on Tye McGinn (14 goals, third on Phantoms with 25 points) for some help to see if the team can make a run in its last season in Glens Falls. 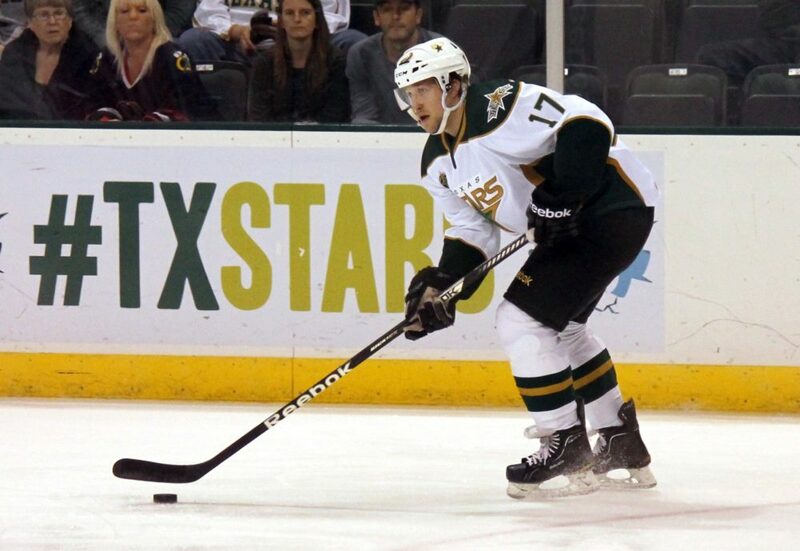 The Bulldogs could not muster a win in their only game against the Stars and fell to 2-3 in their last five. They have 49 points and sit in 12th in the West, but their streaky tendencies make it hard to bet on them to make the playoffs. Goalie Dustin Tokarski is maintaining a winning record at 16-12-2 to go with a .919 save percentage and 2.36 GAA. The Crunch have dropped four in a row and were held to one goal in two matchups with Norfolk this weekend. They have also won just once in their last 10, a February 5 matchup with the Americans. Syracuse has three 30-point scorers on its roster, but never seemed to bounce back after Nikita Kucherov went to the Tampa Bay Lightning. Rookie Cedric Paquette is currently on top with 32 points, while Brett Connolly and Vladislav Namestnikov each have 13 goals.